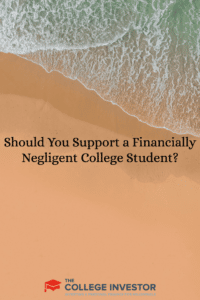 Home » Should You Support a Financially Negligent College Student? Ah, college — the time to travel, party, and sometimes get an education. But what happens when you take the first two (traveling and partying) a bit too far and miss the education part? I want to share two stories with you — and ask you how much you would support these college students. It’s a question that has been on my mind lately, especially as I’ve been talking to parents whose biggest concerns are paying for their child’s education, but then end up paying for their lives well past the end of college. College students will make mistakes with their money. I did — you probably did. It’s inevitable. But at what point does it become negligent? And at what point should you stop financing and supporting them? I think we’ve all heard of or seen this person in real life. This is the person who never took class seriously, but threw some serious parties. Their idea of college was “networking” — i.e., spending as much time socializing with others as possible — in the dorm room, at the bar, or on vacation. 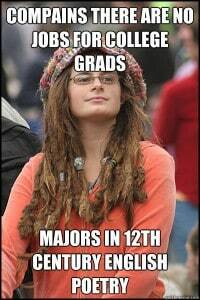 I had an acquaintance who fit this stereotype perfectly. This guy started college the same year I did — but he ended up on the six-year track. But during his time in school, he joined a fraternity, lived up the nights and weekends, and barely attended class. Every summer he went on vacation to sweet destinations: Hawaii, Europe, or Mexico. This guy never had a job while in college, never tried to get an internship, and was bouncing on and off academic probation. And guess what? All of this was funded by his parents — his dorm (and later apartment), his food, his books, and of course his tuition and travel costs. I don’t think this guy paid anything while in school — for six years. And that’s not cheap. Even though I went to a state school, by the time I graduated, tuition was up to about $12,000 per year — so this guy’s parents paid an additional $24,000 in just tuition. Probably add on another $18,000 to $20,000 for living expenses, including rent, and those extra two years of school cost his parents upwards of $44,000. Then the vacations! Wow, the vacations . . . This guy had no clue about money — and when he graduated he got a job at a surf shop, and as far as I know, he is still working at a surf shop six years later. And guess what? His parents still pay his bills, help him with rent, and send him money as needed. Should his parents have really supported this (or continue to do so)? Let’s look at another story. This is the story of a girl I grew up with. We weren’t friends, but lived in the same neighborhood, went to the same high school, and our families stayed in touch through the community. This girl was smart — top of her class, went to an Ivy League school, and got a degree in physics. Smart girl. But book smart . . . Instead of getting a job, she decided to jump right from undergrad to get an MBA. Okay — change of course, it happens. But this wasn’t any MBA program, this was a joint MBA/JD program. Three years later, she would graduate with both an MBA and JD. When we asked what her plans were, we found out she wanted to become a General Counsel to a Fortune 500 company — right out of college. Um, aren’t we skipping a few steps here? Needless to say, she did it — and ended up at 26 with her B.S., MBA, and JD. Did she join a Fortune 500 company? Nope. She ended up with a $20,000-per-year political analyst job in Washington. The total cost of her college education alone (undergrad and graduate): $265,000. Not to mention that her parents paid for her room and board all through school, and still help her pay her rent to this day. What Makes for a Financially Negligent College Student? They have no concept of the value of money because they never had to earn it and pay for their own things. They have no concept of the value of education because they never had any skin in the game. They spend money freely since their parents will always send more money. They don’t truly apply themselves since everything has been and is being provided. They take out student loans for lifestyle reasons, rather than education reasons. There are many traits that make up financially-negligent college students, but these ones stand out the most to me. The trouble is, there is a high cost to continue to support financially negligent college students — especially as they turn into young adults. The cost to parents is simple: you can’t get a loan for retirement, so don’t blow all of your money before you really need it. Too many parents fall into the trap of feeling the need to financially support their children through life. They don’t! In fact, their children will probably be better off financially if their parents don’t support them too much! The sad part is, sometimes parents support their children to their own financial detriment. How about the story of the surfer who lived life through college, and now works in a surf shop? His parents in their 60s recently had to sell their house and move into a small apartment. They are wondering how they will ever retire because instead of stashing away money in their prime earning years, they were busy paying for extra tuition and sending their son on frivolous vacations overseas. The cost to students can be even more damaging. Too many times, parents simply spoiling their children with free education, free housing, and free vacations leads to a sense of entitlement, and a distorted view of money. The kids that emerge from these situations are typically the ones that struggle with money their whole lives, or on the flip side, never leave the support of their parents. It is essential for college students to learn how to manage their own money. Yes, parents can help — but it should stop at a certain level. Students need to pay for their own stuff as well, and earn their own money. This will help them prepare for the real world. If you really want to help your student, stop supporting them financially. You can maintain a minimum, but make them get some skin in the game and start paying their own way. Trust me, you are doing everyone a favor. 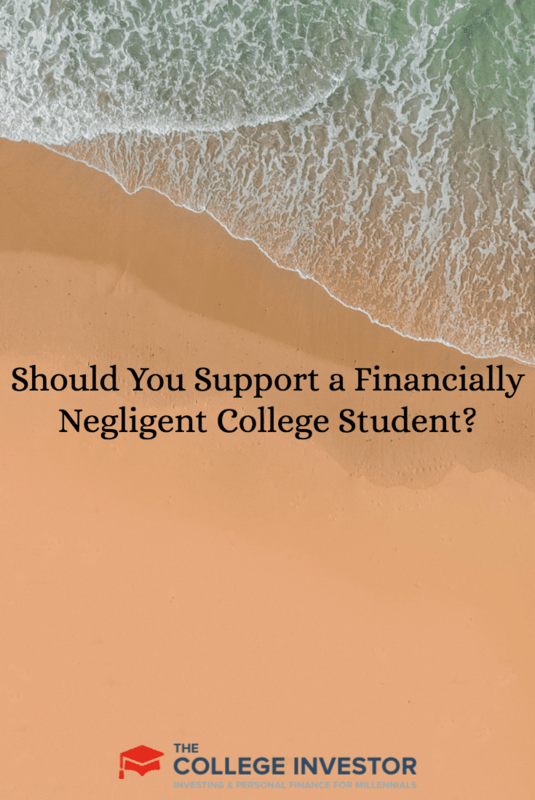 Do you know someone who is supporting a financially negligent student? Did you have friends or acquaintances that matched these scenarios? What impact did it have on their lives post-graduation? At my first job after college, I became good friends with my boss. He would tell me all of the time about the resumes he was getting. Many times, students were jumping right into MBA programs from undergrad degrees like the girl you mentioned above. He told me 99% of the time, he would never hire the person. He said that they expect an MBA salary without having any work experience. And many times, if they did get hired, they were a disgruntled employee because they weren’t CEO within a few months. There is no skipping the line when it comes to the corporate ladder. If you want to be CEO right out of college, then you need to start your own business. I knew two students while I was in college who were on the six-year plan. Eventually they both washed out and moved back home. I think this happened because they did not have a plan when they went to college, and they knew they could always go back to living at home if it didn’t work out. I’d be more likely to support the second than the first, but we would be having some serious discussions about reality and scholarships.